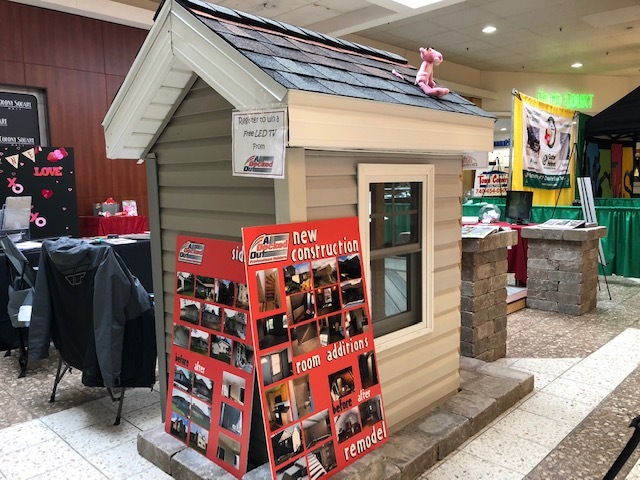 ZANESVILLE, Ohio – It was the final wrap up day of the Hearth, Home, and Away Show. The show is an event where different area businesses can showcase how their company can help homeowners with their home improvements. The past few days we spoke with an excavating company, bathroom remodeling company, and today we learned more about the business, All Decked Out. “We started as a deck builder. Obviously we have a lot of composite decking, and we do a lot of treated as well just with regular wood. But we, over the last twelve, thirteen years have evolved. We do a lot of siding, roofing, home additions, new construction now, so kind of became a full service builder,” said Owner of All Decked Out, David Thomas. Thomas said this event is a great way to meet new people and inform homeowners about their home improvement options in their town. “It gives us a chance to get out and meet people. A lot of old customers they stop by, kind of see what’s going on, how things are going. Meet a lot of new customers so kind of a good mix,” he said. This was the 19th year for the hearth, home, and away show, and it lasted all weekend long during regular mall hours.